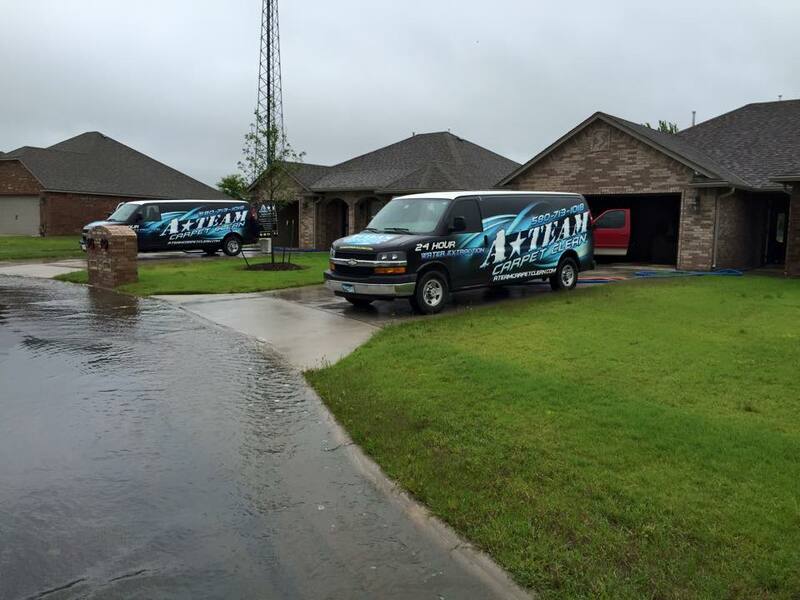 Water Damage Testing Tips – A-Team Carpet Clean Inc.
Oklahoma has been known to break rainfall records during the spring season. 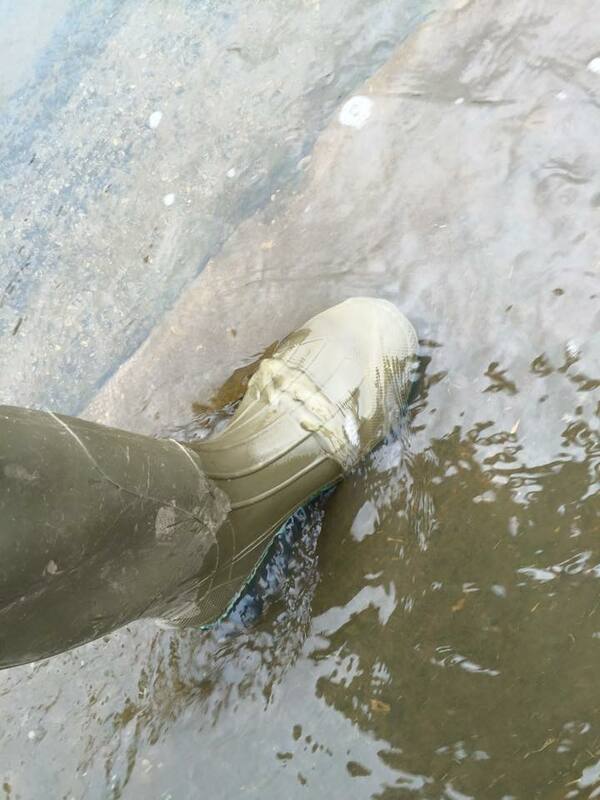 Due to the excessive flooding every spring, we receive many calls for rain water getting in homes. 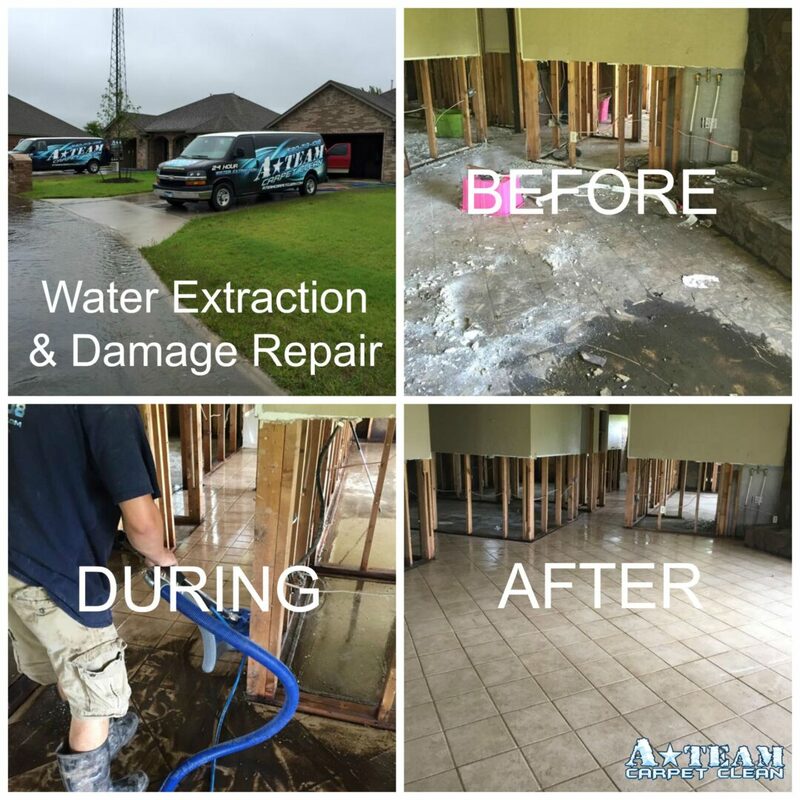 Here are our DIY water damage testing tips to test your home for potentially harmful moisture that should be removed with professional extraction, cleaning, and drying equipment. Get some toilet paper or a paper towel. Place on floor about 6 inches from exterior walls. Common areas for water to collect are near doors and walls where the yard slopes down towards your home. Moisture is also commonly found coming through cracks in the foundation. With your bare foot, press down as firm as possible. Your carpet cushion or “pad” will absorb 90% of the moisture and spread to dry areas of the cushion. Continue to do this traveling in the direction of the slope of your natural foundation or along the tack strip holding your carpet in place. By applying pressure to the cushion, you will force the “smart” water to the carpet fibers. It’s a hide and seek game, and if you don’t find it now you will smell it later and harmful mold is likely to be present. If you notice moisture during this test and live in Comanche County Oklahoma, contact A-Team Carpet Clean at 580-713-1018. A professional water extraction and carpet cleaning company should have your home dry again in 24 hours and can provide tips and ideas on how to fix the problem. Great tips. I appreciated your work. 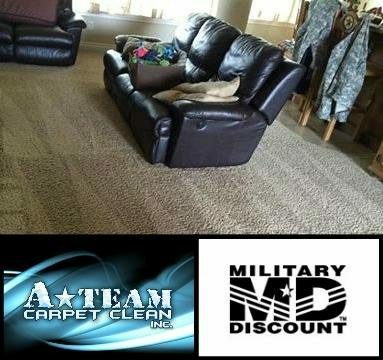 A-Team Carpet Clean Celebrates 10 Years!